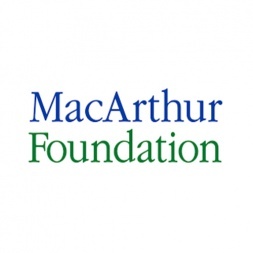 Nature and Culture International (NCI) in collaboration with local governments, has achieved the first step for one of the greatest conservation opportunities on earth. The El Chaco Municipal Reserve totaling 167,867 acres was declared in Ecuador on July 25, 2017. 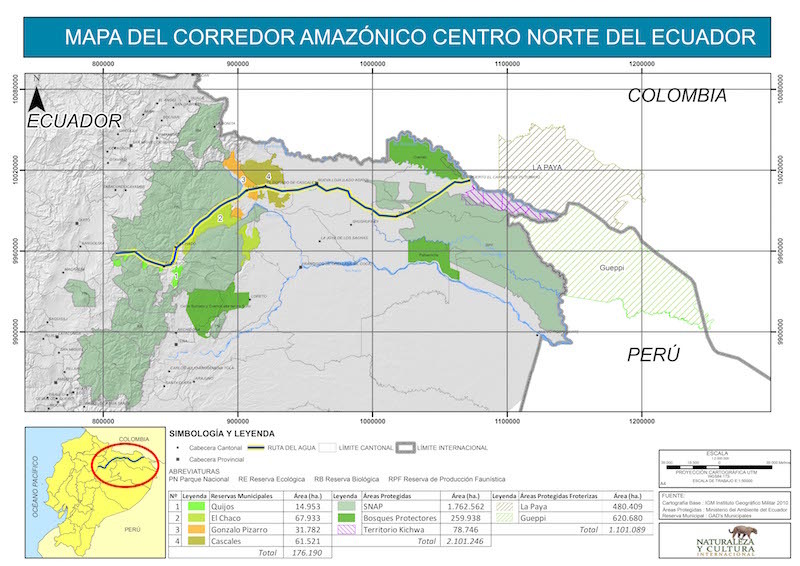 This area is located in the Napo watershed in the central Amazon of Ecuador and is one of seven municipal reserves that will constitute the area. Now that El Chaco has been declared, NCI will host training sessions for El Chaco municipality representatives to develop a watershed protection program. Training sessions will focus on the management of conservation activities and conservation funds. The municipalities on the map are members of the Mancomunidad de la Ruta de Agua. This is a voluntary association of seven municipalities that was formed to support and promote eco-tourism and conservation activities. The high mountain forests and páramo of this region are home to endangered Andean animals like the spectacled bear and mountain tapir. The seasonally flooded Amazonian forests are the richest areas in the world in terms of trees, birds, bats, and amphibians. 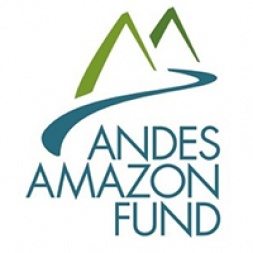 The creation of the Ruta de Agua will also connect Cayembe Coca National Park and Sumaco-Napo-Galeras National Park. The area is home to six of Ecuador´s 13 indigenous nationalities: the Cofan, Huaorani, Kichwa, Secoya, Shuar, and Siona. 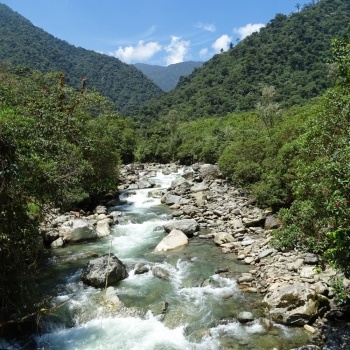 The mountainous regions of Napo and Sucumbios also serve as the headwaters for many river systems. These rivers are critical for rich aquatic ecosystems, hydroelectricity, water-based tourism, and potable water sources, including those for Quito, Ecuador´s largest city. Threats include continued deforestation due to unsustainable agriculture, cattle pastures, timber, and oil extraction, and attendant development (e.g. new roads, and crude oil pipeline). Erosion and high sedimentation in waterways from forest loss is one of the primary threats to potable water sources. 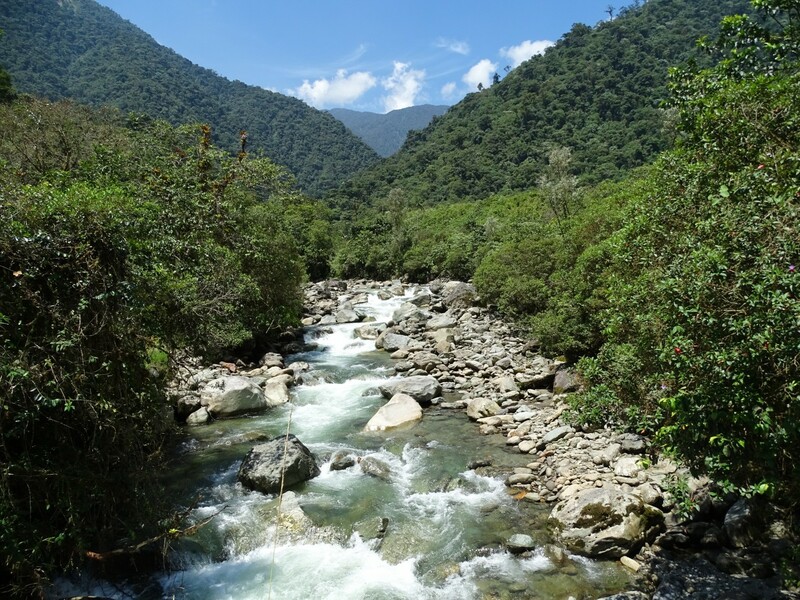 NCI will continue to work with the Mancomunidad de la Ruta de Agua to develop a shared management and conservation methodology.